Evolution of Woden continues with new pub – Fenway Public House! Calvary Private will no longer offer birthing options for northside women. File photo. Calvary Private Hospital at Bruce has made the surprise decision to close their postnatal maternity ward on April 28, limiting private birthing options for women on Canberra’s northside. The Hospital says it’s simply unable to find enough midwives to consistently staff the ward. In a statement, Calvary Private’s General Manager Elaine Bell said the decision had been made “after extensive national and international recruitment efforts failed to attract sufficient suitable candidates to the midwifery team”. Ms Bell said that Calvary Private had invested significant resources into their post-natal service over the past two years to try and resolve the situation. However, it came down to a structural issue based on the level of services offered, and for that reason was unlikely to change. “Patient care and safety is our number one priority,” she said, explaining that the Calvary Bruce Private Hospital service was originally established as a postnatal model only. The lack of a birthing centre had hindered the private hospital’s ability to attract and retain midwives because of their preference to gain experience in a facility which offers a full obstetric service. Every Thursday afternoon, we package up the most-read and trending RiotACT stories of the past seven days and deliver straight to your inbox..
“Specialists will be able to offer women private birthing and postnatal care at Calvary John James Hospital or Calvary Public Hospital and we can assure them that their continuity of care will not be disrupted,” Ms Bell said. The Calvary Public maternity ward re-opened in July 2018 after an extensive refurbishment valued at around $2.6 million. 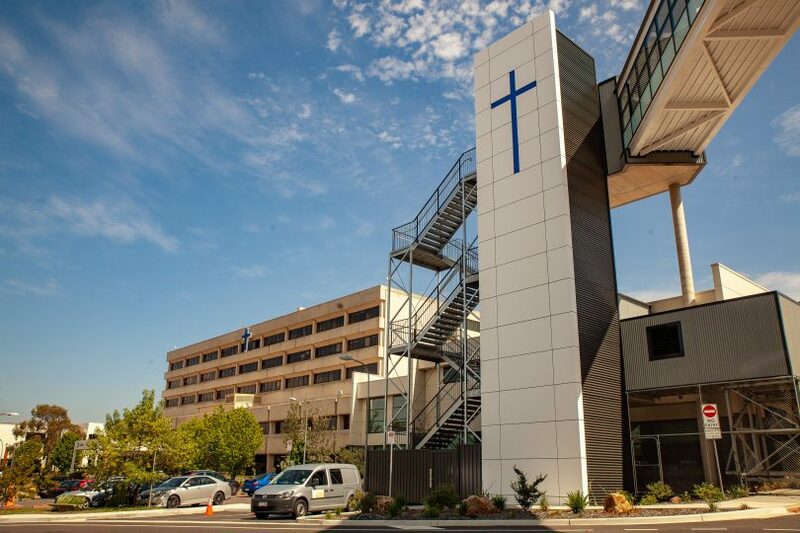 The revamp was funded by the ACT government in response to continuing population growth in Gungahlin, West Belconnen and Molonglo. The decision reflects a growing shortage of midwives across Canberra maternity services, and a movement towards public hospitals following the end of the baby bonus. Anecdotally, some midwives prefer working in a birth centre setting where they are able to provide a full range of services through pregnancy and delivery. Midwifery-led care is more typically available in a public hospital setting, while private patients will choose obstetric-led care. Anyone who may still have queries about the closure of services is encouraged to contact Calvary Private Hospital on 6245 3100. Adam Sturgess that is so sad. Sammi Makings 😧 hope it wasn’t on your shortlist! Mitch, we were so lucky! Chris Flint glad I made the decision to drive past Bruce and go to JJ anyway! OMG definitely the best decision! Tracey Best it’s not there anymore. It got moved to the new premises, but doesn’t have birthing facilities. I feel for the women who are about to birth, paying for it privately and have now been told to go elsewhere. If it was me and the option of a public hospital was given to me I’d be annoyed, private patient or not in a public hospital doesn’t guarantee you a private room. Sure, there’s JJs but there mat ward also includes gynae. How uncomfortable for both worlds; a share room for instance-1 has a baby and the sharing woman has had a hysterectomy. Nah. I realise this change has been made due to staffing but geez..! Carmelina Bono that’s the health system for you. Very sad!! I know it’s soo lovely for new mothers it’s a shame! Carmelina Bono it’s a real shame!! Maddi, Tahlia, Rebecca, Amy, Cat, Kellie, Amanda. Aimee Marsh yes I saw this!!! Sad but not surprised, I work in the private health sector and also struggling to recruit staff. Alison - midwife shortage is good for you and your studies! Sandy is A Interested in midwifery. Sounds like plenty of work around. Monica Crane oh no! This is crazy! I hope it isn't for too long! Makes me want to be a midwife! Monica Crane our midwife (YOU especially ❤️) experience in June postnatally with Harvey was nothing short of amazing. I’m sad to see this happen. I had my baby boy there 20 years ago - very positive experience. This is so sad! Hang in there fabulous midwives! Monica Crane I’m so sorry to hear about this. I hope you are able to find a place that appreciates the amazing job you and the other midwives at Calvary private have done. Monica Crane yes you were there when I had both boys and you were all amazing, couldn't do it without you all! The midwives at Calvary private are wonderful - this is very sad news and such a loss for new mums in the area. Kerry Bergan Lucky I didn’t go private! Evolution of Woden continues with new pub - Fenway Public House!